The question that every small balance real estate (SBRE) investor should ask themselves on every property they purchase is: How can I maximize my return on investment? There are several areas that you can make a small financial investment in your property and maximize your returns upon sale. The MLS is full of examples of the do’s and don’ts when marketing a property for sale. These suggestions have helped me add value to my investment real estate for next to nothing out of pocket. Using a professional photographer may cost you anywhere from $150 - $500 but the professional images will help generate much more interest in your property when marketing online. Seeing the beautiful images online may be the main reason you get certain potential buyers in the door! I use Craigslist to sell my bulky furniture and buy pieces that I can use for staging. 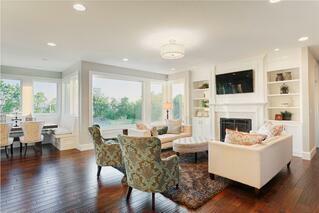 You can also use a professional staging company to stage larger properties. This typically will cost between $1,000 - $5,000 depending on the quantity of furniture used, the length of time, and deal you are able to negotiate for yourself. Some staging companies will allow you to pay them through escrow once the property has been sold. This strategy may sound crazy to most investors, but greed is part of human nature. In today’s real estate market, it is common for most buyer’s agents to make between 1 and 2.5% commission. Investors should start viewing buyer’s agents as their salesforce and what better way to motivate the salesforce than offering a higher commission. This incentive should generate more showings of the property which should result in more offers and a quicker sale of the property. The additional 1.5% to 2% you will pay out in commission at closing should ultimately be covered by eliminating longer holding costs and obtaining a higher sales price. This is a strategy that I learned from Kirby Ellis, a realtor at Realty National SoCal based out of South Orange County. Do it yourself or hire a professional maid service. This can cost you anywhere from $10 to $200, but it is money well spent. If you are dealing with a hoarder situation (Which is common in the fix and flip business), have a garage sale or hire a local trash hauling service. These suggestions have personally added value to my real estate investment properties. I invite you to comment below if you have any additional suggestions that have added value to your properties in the past. Please subscribe to the Trust Deed Capital blog for other free blog articles we have written in order to add value to your SBRE business. If you are interested in discussing financing options for any of your investment properties you can reach me direct at 949-303-1043 or send me an email at mattmeyer@trustdeedcapital.com.